Hello friends! We are going to be whitelisting the server for an unknown amount of time to test a new plugin that will be a part of something you've all been waiting for! We will edit this post and ping on discord when the matinence is completed. The server is now unwhitelisted and available for play! A Whole New World School Funded, Trade Opened! Congratulations! Through your generosity, you have successfully funded a school for the children of the small village we found. 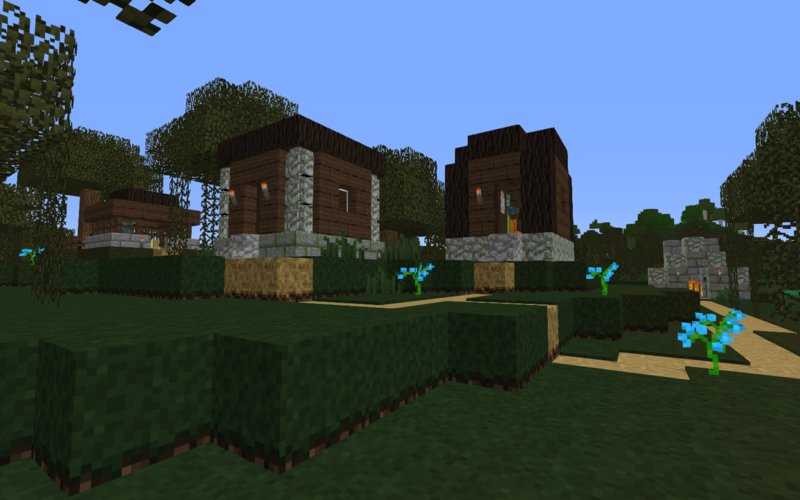 As a show of thanks, the villagers have opened their homes to you. Each has their own wares to trade with our people, including a bank that allows for the exchange of our stars into their currency. As of now, there is no warp to this location, so be sure to plan your trips wisely! However, there is talk of a new mode of transport soon becoming available... Happy trading! Hey all! The server appears to have gone down this morning with a myriad of errors following a regular restart. We are working hard on fixing it, but unfortunately as its a weekday and our staff have jobs, it may be a bit of time before it's back up and running. We appreciate your patience, and will post here when it's back! UPDATE 10:10AM EST: The server has mustered its strength and is back up and running. However, it is still a bit woozy, so please bear with it if it has a few random crashes throughout the day. <3 Thanks for your patience! Some explorers have stumbled across a village that we didn't notice before! When they tried to approach, they were chased off, clearly not trusted by the people who lived there. Over time, they were able to speak to a leader of this village who indicated they may be willing to trust us if we contribute towards a school they are attempting to build. They want to see this be a community effort, and so have laid out the following rules in order to grant us entry into their village. A total donation of *200,000 is required to build the school. Each person's contribution may total no more than *10,000. Each person must personally raise or earn their *10,000, it cannot simply be given to them by another player. Any funny business and the villagers will only further distrust us, so please do not attempt to circumvent this rule! Their leader indicated that, should we help them in this endeavor, they may be willing to engage in trade with us for unique and special items! We've placed a fundraiser bar below for easy tracking - let's do this! Simply create a /modreq in order to make your donation. Server Event February Fishing Competition! Join us at /warp Fish on Saturday February 23rd at 2pm EST for some music, fun, and friendly competition. This month, we're having a fish fry! Each competitor will be given a rod, a furnace, and a block of coal. Your mission, should you choose to accept it, is to catch and cook as many fish as you can in 15 minutes. You may keep your catches after scores are counted, and special trophies will be awarded to 1st, 2nd, and 3rd place winners at the end of the competition. 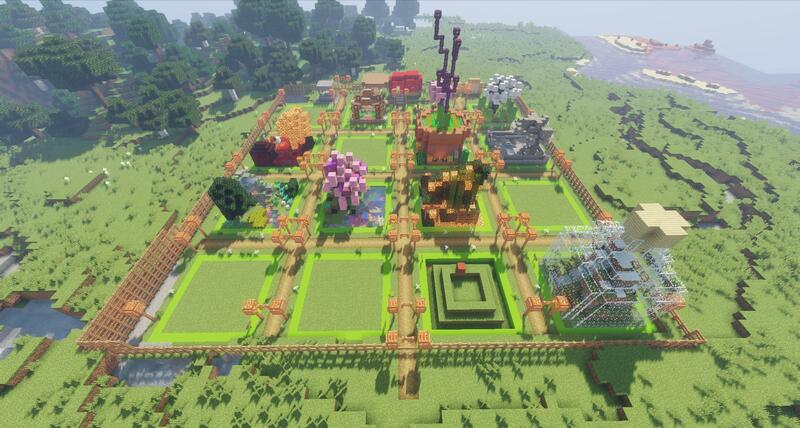 Server Event Farm and Garden Build Contest player's choice award! Gardening Build Player's Choice Award! 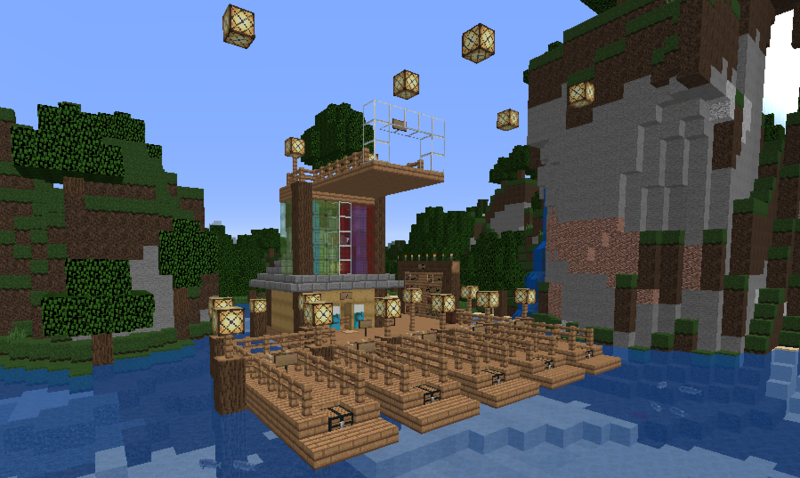 We're so excited to see the great response to the Farming build contest the past few weeks! We have some amazing builds and we want to ensure that the players have their say in picking the Player's Choice winner for the build contest! WHAT: Player's choice voting for the gardening contest! In addition to the 3 overall winners chosen by staff, every participant receives a special gift, and the Player's choice winner also receives special recognition! Make sure to recognize the creativity of your fellow players and vote today! Participants and their plot numbers are listed below. Vote for your favorite! Server Event Farming Build Contest! This is a contest that's dedicated to making the best farm/garden you can! Anyone may join, so get building! You can get to the area with /warp gardening. But when can I start building? You can start building as soon as this post goes up! Your building time is from January 16 - January 30, and judging will occur on the 31st. -Be careful with water and lava! If you plan on using lava in your build, please contact a staff member first to be sure that it won't cause issues! Additionally, water destroys crops, so be careful with that too. -Also be careful where you plant trees, as they can grow outside of plot boundries and cause troubles for your neighbors. I'm glad you asked! 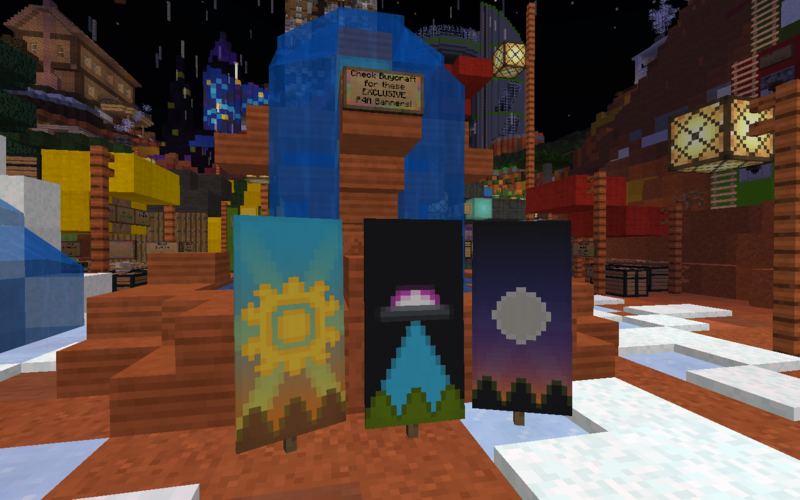 The prizes are on display on the board in /warp gardening. Come one, come all to the Fishing Guild's first monthly fishing competition! Join us at /warp Fish on Saturday December 29th at 3pm EST for some music, fun, and friendly competition. Each competitor will be given a Lure III rod to use until it breaks. You may keep your catches after scores are counted, and special trophies will be awarded to 1st, 2nd, and 3rd place winners at the end of the competition. You may or may not be aware of the amazing event Nerdfighters and their friends do every year called Project For Awesome, or P4A. This event is a massive charity fundraiser that in years past has raised millions of dollars for amazing causes supported by real Nerdfighters around the globe. You can learn all about it here! When this tier is reached, everyone on the server receives an exclusive [P4A2018] tag! When this tier is reached, everyone on the server receives 24 hours of unlimited fly! A Whole New World Recovering old creative worlds! First, let me address a major issue that has raised its ugly 256 bit head. As many of you have realized, not all schematics are pasting properly. We've been working on and investigating this issue since we were first made aware of it. I'm not going to get into specific details (for one thing even some of the mod makers involved aren't sure why its happening) but there were many potential issues when saving schematics that we had no way of knowing about ahead of time. Even if we had checked random schematics as we went, the problems are so varied, and in some cases random, odds are good that we wouldn't have come across one. Again, even if we DID know about the problems, there aren't obvious fixes because there are a number of potential causes. 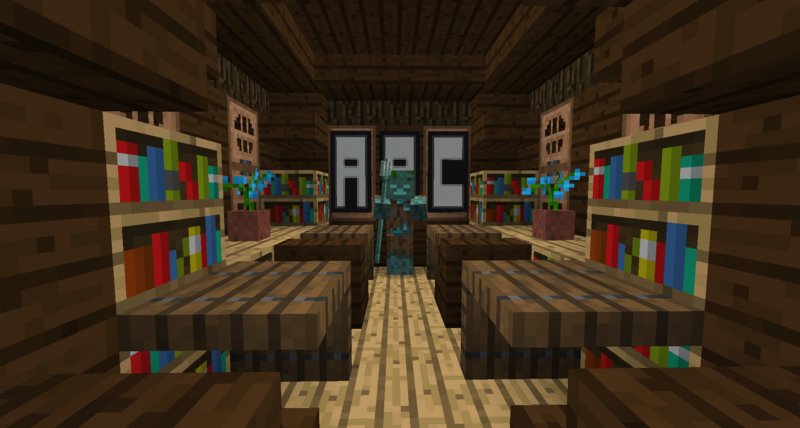 Because of this, once we set up the creative world again, those who had these problems (make sure you message a staff member letting us know so we can add you to the list) will be given a free extra creative plot to compensate. We realize this doesn't make up for it entirely, but we look forward to seeing what new awesome things you come up with! There are a few steps involved in getting your schematic into a world, but it's quite simple if you follow these instructions! Drag these files (below) into the correct "mods" folder in your Minecraft game data. If you don't see a 1.12.2 folder, simply create one within mods named 1.12.2.